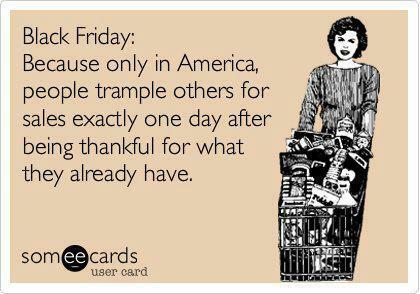 indicates the point at which retailers begin to turn a profit, or are “in the black.” Several of the sales this year are starting on Thanksgiving night itself!! Enjoy! 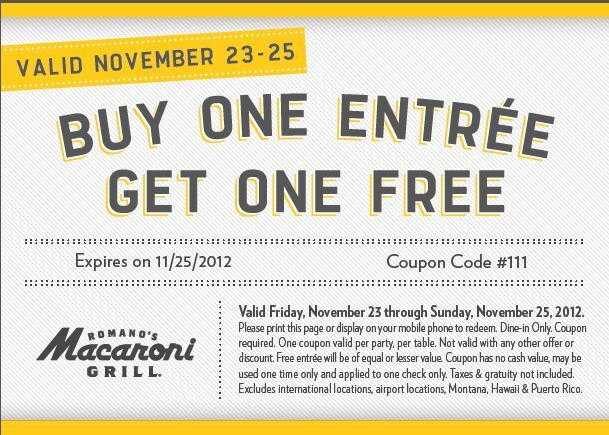 Macaroni Grill -if offering a free entrée with this coupon and it is valid from Friday, November 23 through Sunday, November 25, 2012. 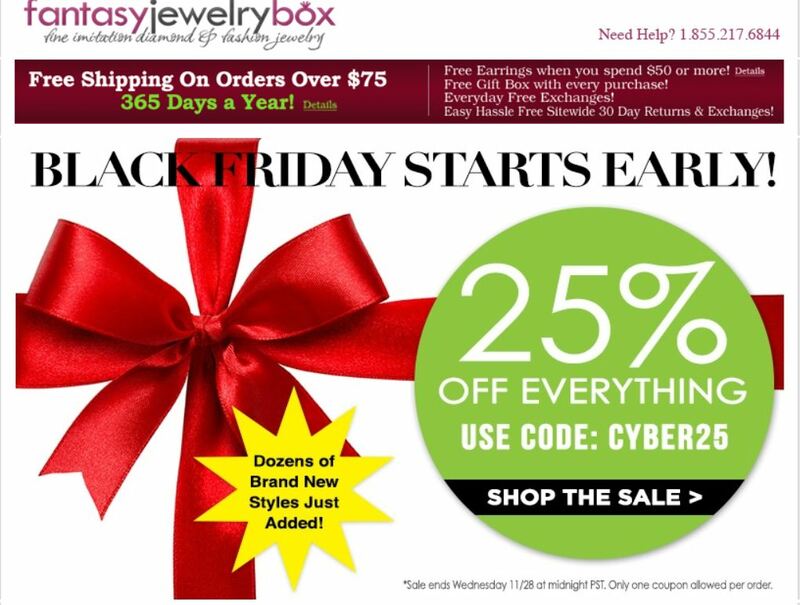 Print this coupon or show this ad on mobile phone to redeem. This offer is good for dine-in only. 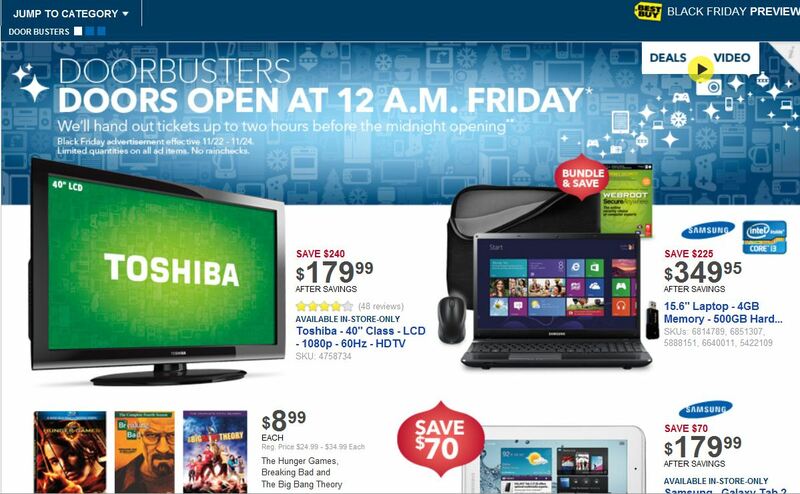 Kohls – Use coupon code BLACKFRIduring checkout for an additional 15% off your order. 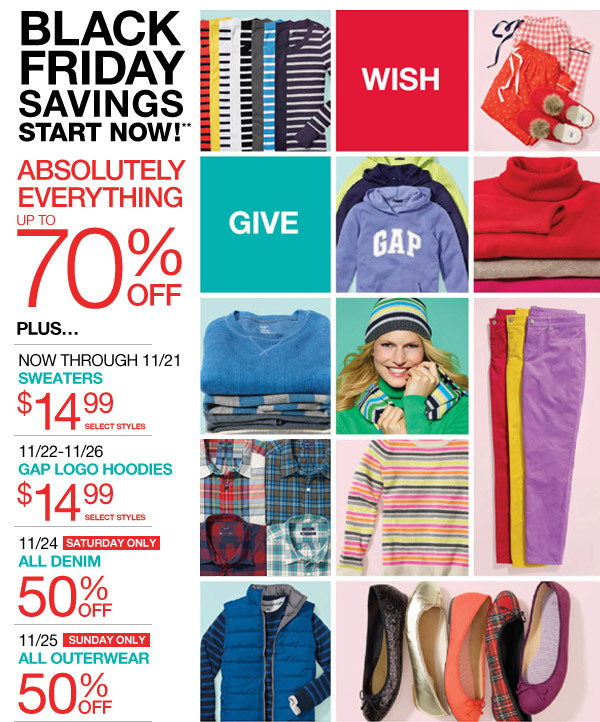 There is an additional $15 Kohl’s Cash for every $50 spent between November 21-25. 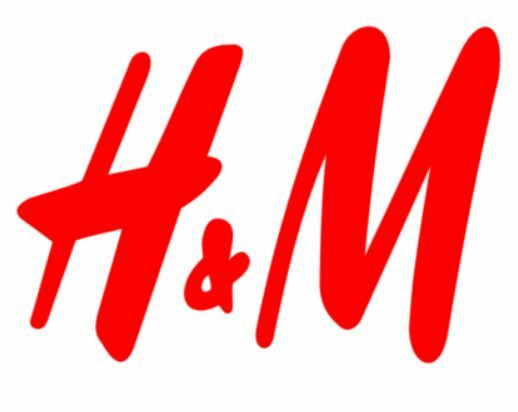 All earned Kohl’s cash will be redeemable from November 26 through December 3. 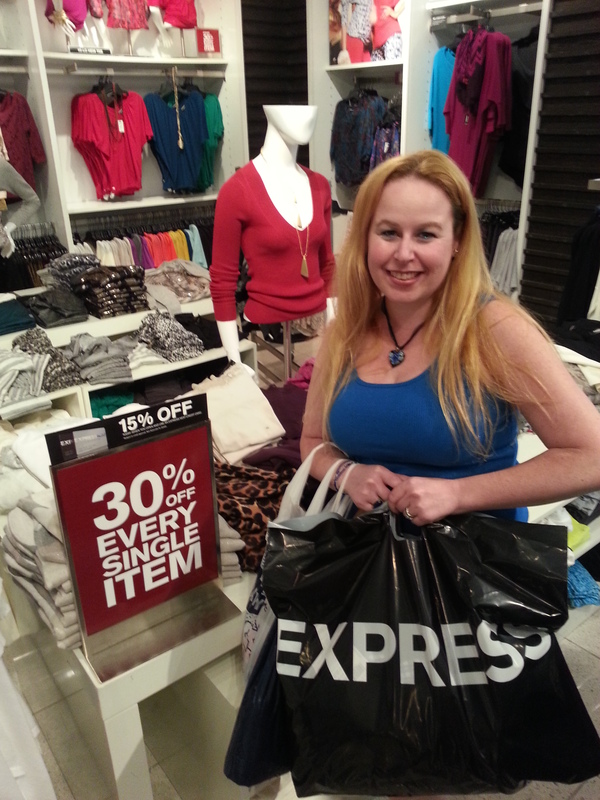 Express – On Cyber Monday, Nov. 26, Get 40 percent off everything plus free shipping online. 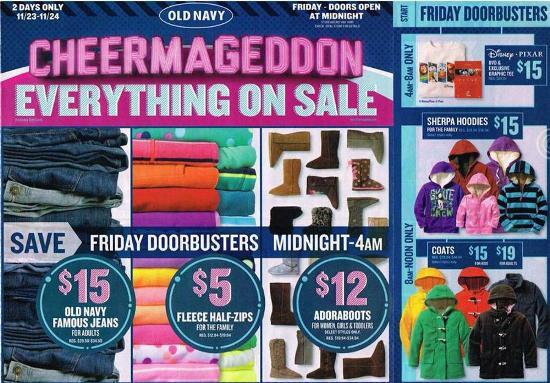 J.CrewFactory Outlet – stores are offering 40% off of everything in the store from Nov. 21-26. 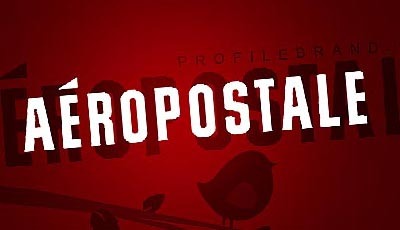 Aeropostale – On Friday, Nov. 23 everything is 60 percent off in the entire store. 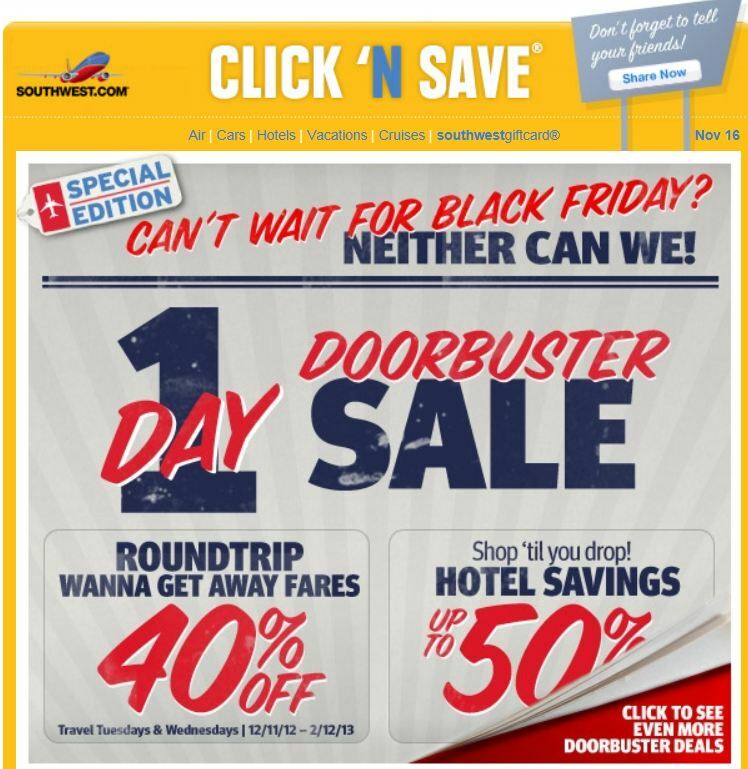 Black Friday Southwest Airlines Deals!! I came here looking for something else, but this interested me regardless. Enthusing stuff!